DIY Home Projects for Cold Winter Days - CH Edwards, Inc.
How have you been spending your winter days? Maybe you’re spending them curled up on the couch reading a book, or watching your favorite TV program? Having a lazy day once in awhile isn’t a bad thing, but if you’re stuck indoors because of the cold, why not turn your lazy day into a “go day”? Do some painting. Cold weather is ideal for drying paint. Redo the color scheme of your bathroom, or add dimension to your living room or bedroom. 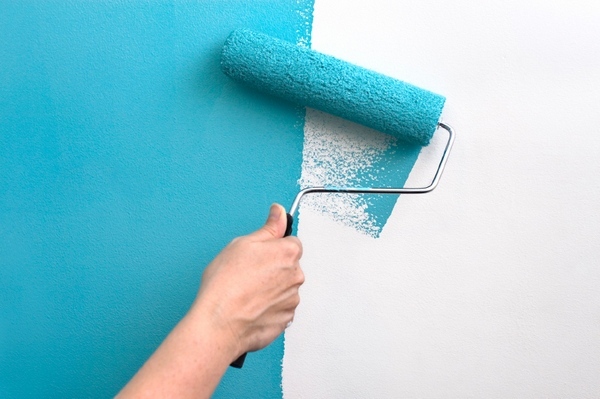 If you are feeling creative, grab some painter’s tape and create a pattern on your walls. Change your light bulbs. It can be a bit of an investment, however, going around your home and swapping your old light bulbs with energy efficient bulbs will save you money! Energy Star qualified light bulbs will save you more than $40 in electricity costs over its lifetime. Install a backsplash to your kitchen’s countertop. A backsplash is a perfect way to spice up the look of your kitchen. If your kitchen is in need of color and life, a flashy or textured tile can spice up a plain scheme. For a more chic look, go with a neutral colored tile. Give your closet a makeover. If organization is on your list for 2016, start by tackling your closet. There are so many ways to personalize your closet for your needs. Install shelves or purchase an over the door shoe rack to help cut down on clutter. Go through your clothes and donate the items that you no longer wear. This is an excellent way to help others in need while achieving a personal goal. Do a Home Inventory. Prepare a written list of all your valuable belongings. In the event of a homeowners claim or loss, this list will be at your fingertips and will help expedite the claim process. Aside from preparing a written list, be sure to take detailed pictures of all your items listed in your inventory. These are just a few ideas to help you focus on the inside of your home while the weather is cold. Once spring time rolls around, you can focus your time on the outside!